Homemade insecticide is a non-chemical type of pesticide used to control deleterious insect pests in the vegetable garden. The use of homemade pesticide greatly reduces the cost of vegetable production; they are cheap to make with readily available recipes. This makes the cost of vegetable production friendly and easy to bear. The definition of pesticides in agriculture is broad, just like the meaning of pest. 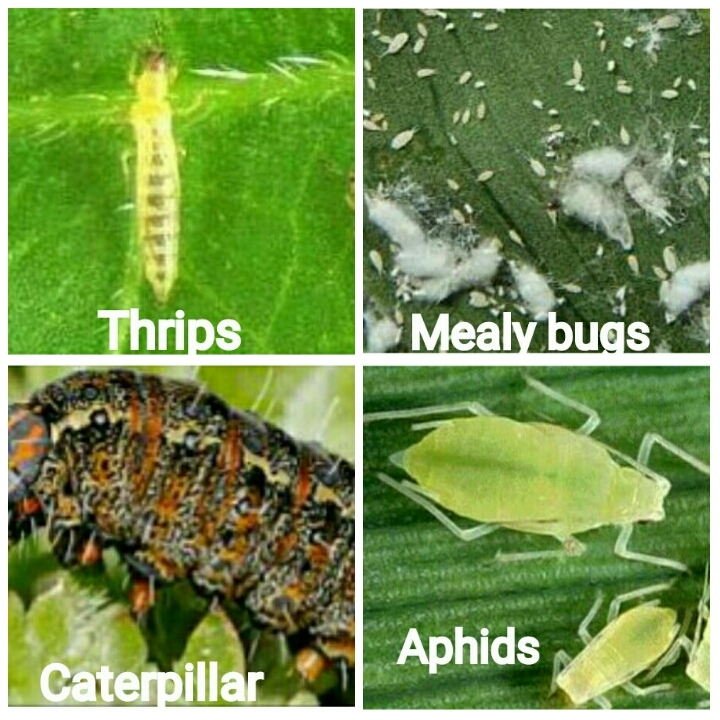 Pest is any entity that can hinder the desired growth and development of any crop; examples are the weed, insects, rodents, microbes, even humans can also be classified as a pest. However, in this context, we are considering the insect pests; they are commonly controlled using insecticides. You can make organic insecticides from household materials; they are as effective as the chemical insecticides and cheaply available. Insect pests are major threat to crop production industries in the world; they are capable of causing great economic damage in a vegetable farm. They are carriers of major disease in crop; examples are mealy bugs, whiteflies. They have modified mouthparts that allow them to feed on different types of vegetable in a garden. Some defoliate crop leaves making it prone to airborne diseases; examples are the grasshopper and leaf beetles. Some feed on the sap juice of the plant thereby reducing the plant vigor, this type of insects are called the piercing and sucking insect examples are aphids, thrips etc. What I will be revealing to you is how to make an organic homemade insecticide for your vegetable garden; it is a soap and water pesticide. This homemade garden pesticide is an organic non-toxic pesticide that is safe to use on any vegetable at any period. This homemade insecticide spray is cheap and safe to use, unlike the chemical pesticides, which require precautions in usage. Another interesting advantage of homemade insecticide is that it does not have a recommended dosage, unlike the synthetic type which one must be cautious and follow the prescribed dosage strictly before applying. This homemade pesticide is easy to formulate. Local black soap or liquid soap: Black soap is a homemade insecticidal soap; using black soap enhances the effectiveness of the insecticide. You can see that this homemade insecticide recipe is cheap and readily available, now learn how to mix the aforementioned recipe to make your homemade insect spray for plants. Aside from neem oil, this homemade plant spray is one of the effective organic farming pesticides. Spraying plants with dish soap alone is good for controlling fungi and flying insect pests; you can get rid of aphids with dish soap or soapy water. In fact, you can apply soapy water on plants to kill bugs. Get one liter of water, preferably clean water, mix four (4) teaspoons of baking soda then mix two (2) tablespoons of the vegetable oil and two (2) tablespoons of the liquid soap. Shake this mixture together vigorously. Then the soapy water insecticide is ready for use on your vegetable garden. This is a diy insecticidal soap pesticide. This homemade organic pest control measure should be applied early in the morning or late in the evening to enhance effectiveness. This homemade pesticide for vegetable garden can be used on any type of vegetables, like cucumber, watermelon, celosia and jute or Ewedu etc. This diy garden pesticide does not kill insects, this one of the advantages of using organic insecticides. Insects, aside from their destructive effects on crops, are the best agents of pollination, they also play a remarkable role in ensuring good yield in crop production, and hence they should be repelled and not impaired. This insecticide is a homemade insect repellent for vegetable garden. This diy plant spray is a proven homemade bug killer for plants; if you have a tomato farm and often threatened with bugs; do not worry, as this is what to spray on tomatoes for bugs. It is an organic spray for tomato plants and other vegetables. This homemade fungicide and baking soda insecticide is a safe insecticide for vegetables and other horticultural crops. In crop production, there are lots of costs a farmer must cover to ensure adequate yield; one of such is crop protection cost. The cost of protecting your crop against pest and disease attack is not too important unlike feeding in livestock production. But you have to keep it at the back of your mind that you need to protect your crop in case of any pest or disease attack. To make your production profitable, always find ways to reduce the cost of production. This homemade insecticide is one of the ways to reduce the cost of vegetable production. Remember to Share and Subscribe to our posts below!